Today's book is the second quiet book I get to show you made by Tiffany of Always Sewin' Somethin! This is a book she made for her friend's son Henrik. This is just such a colorful, cute book, and I hope you enjoy it! Tiffany; I'm a stay-at-home mom to twin boys and I love to sew whenever I get some free time. I made this book for Henrik, one of my boys' little friends. He was about 18 months old at the time. About 11 hours, an hour or two a day spread out over two weeks. 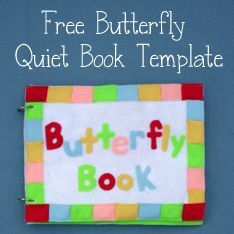 The barn page came from Homemade by Jill: Quiet Book Templates. The other pages are just mini versions of some of my other quiet books. 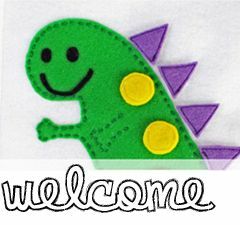 Felt, snaps, velcro dots, buttons, ribbon, googly eyes, fabric scraps. I think the Shapes spread is my favorite because it's so colorful and has so many little activities. To see Henrik's quiet book on Tiffany's blog, with more explanations for each page, click here: Always Sewin' Something: Henrik's Quiet Book. 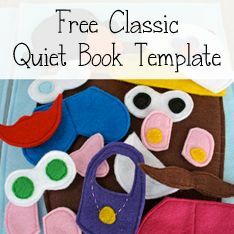 Thank you for sharing this awesome quiet book with us Tiffany! So beautiful! Love the work! Do you sell? If you do, i really like to buy. Thanks!